When I described the BTS database as having been fixed that wasn’t totally accurate. It has been altered, but not enough to provide the evidence necessary to show that these flights ever existed. When the database was examined in 2003 it contained no record whatsoever of either flight11 or flight 77. That database has been backed up, as it was envisaged that it would be altered. Then ten months later it was found that the flights had been added to the database as scheduled, but that there was no flight data for them. And the tail numbers have not been added. The flight data is recorded in real time as the planes fly, and would be almost as difficult to fake as pictures of stars from the moon, for similar reasons of complexity. “No flight data” shows that the planes never flew. The summary statistics for the day were also not altered to include these flights. So even after the database has been altered, it still provides ABSOLUTE PROOF that Both AA flights 11 and 77 never flew that day. According to the database, the flights didn’t take off. So any individual who says that those flights flew is going directly against the evidence of the BTS database! So how does the hijacking story fit in with that? Was Thermite used to Cleanup Ground Zero After the Collapses? Seeing the following quote on RawStory prompted me to make this blog. "Just 34% of Americans say that they support the war; 70% of women opposed." Sixteen percent of America believe Bush is telling the truth about 9/11, but 34% still support the Iraqi war? The torture taking place there is unimaginable. Education is the Key to Learning What's Going On! When asked "Why hasn't one media outlet covered the evidence?" This past May, a national Zogby poll revealed that half of the country wants a new investigation into 9/11. Why didn't the media report this? When half the country wants a new investigation into the biggest terrorist attack in its history, all the news channels should have had breaking-news flashing on the screen. Why didn't they? Is Michael Jackson and runaway brides more important? The family members of victims held a press conference on September 11, 2006 at the National Press Club in Washington DC demanding a new investigation into the attacks of September 11th. The mainstream media failed to report this. Why? Doesn't the media side with the victims' families? At Ground Zero on this past 9/11 anniversary were 3000 people wearing black t-shirts reading "investigate 9/11". Where was your coverage on that? Is the Media REALLY Involved in the 9/11 Attacks? It is the duty of the press and TV networks to report the news to the public. It is their job, their responsibility. What does it tell us when certain stories are withheld? What does it tell us when CNN/FOX/et al report on nothing but Michael Jackson, Scott Peterson, Terri Schiavo, and runaway brides, for hours on end? Surely there are more important issues to discuss. What are they hiding? The mainstream media are part of the 9/11 cover-up and therefore complicit in the attacks. If they weren’t, they would have reported on this May 2006 Zogby poll revealing that about half of America wants a new investigation, including the investigation of government officials for possible involvement. These people are causing great harm to the Truth Movement and are a very bad influence to newbies. What Energy Source Can Convert Concrete and Steel into Dust? 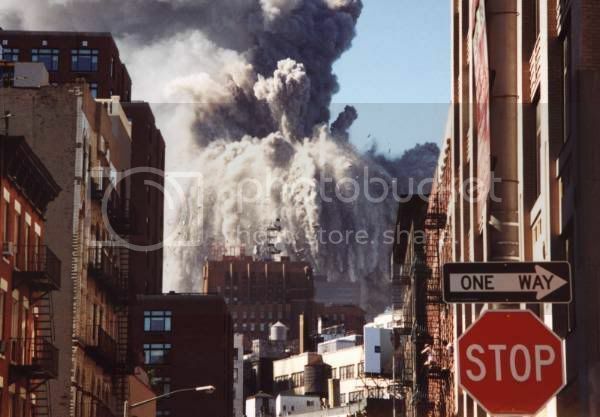 What Pulverized the South Tower's Concrete to Ultra-Fine Powder? 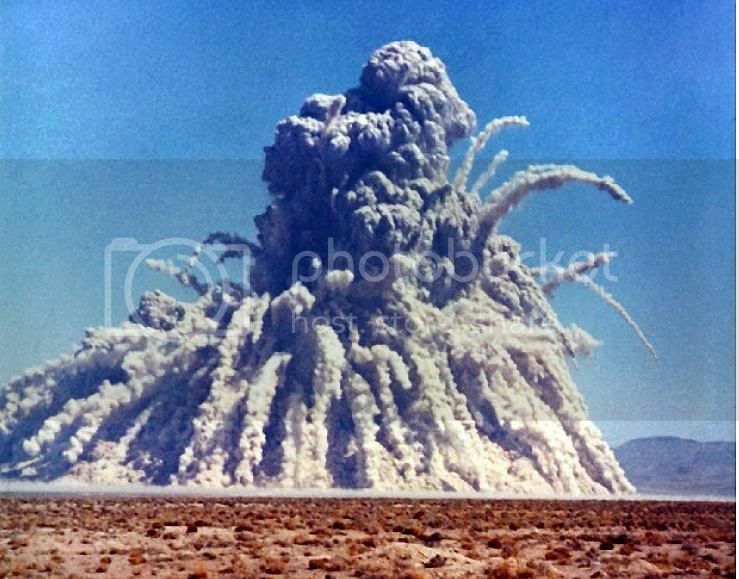 Was it a Nuclear Explosion, like this test in the Nevada Desert? What Turned the North Tower's Spire into Steel Dust? Here's a CNN Video of the spire AND what looks like the entire steel core turning to DUST!